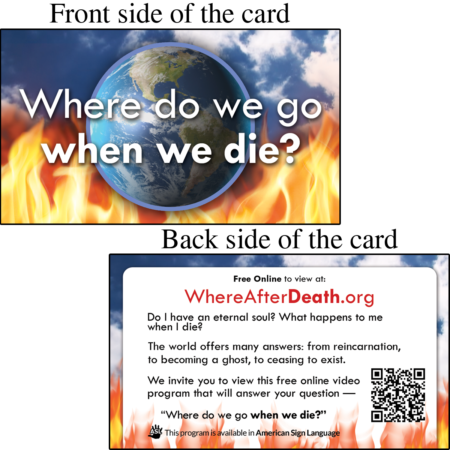 Enjoy free, 24/7 access to the four videos of the program including: Where do we go when we die?, Heaven, Hell and What must I do to be saved? In these videos Don Blackwell explains the journey of the soul, tracing it from the point of conception into eternity. The size of each card is 3.5″ x 2″ (size of a business card) and is packaged in a 500-count box. This new invitation card makes a wonderful loving way to guide someone to the gift of life. 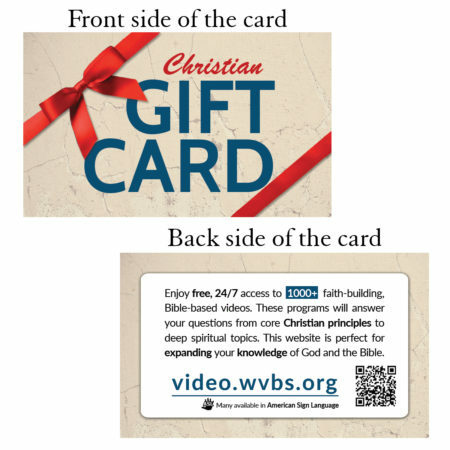 This card will show them to a website with over 1,000 Bible-based, faith-building videos that can help save their soul. 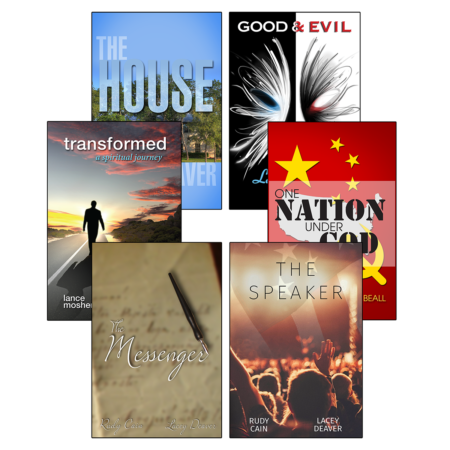 These programs will answer questions from core Christian principles to deep spiritual topics. 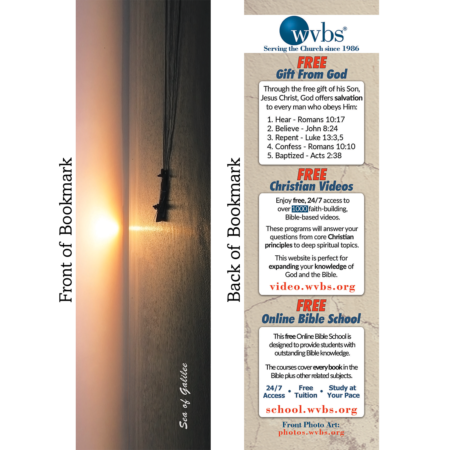 This card provides the perfect invitation to an expanding knowledge of God and the the Bible. 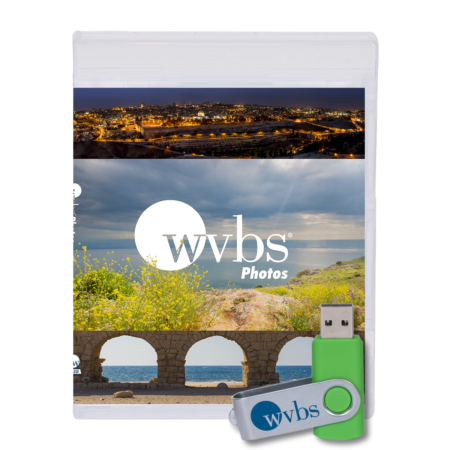 The size of each card is 3.5″ x 2″ (size of a business card) and is packaged in a 250-count box. 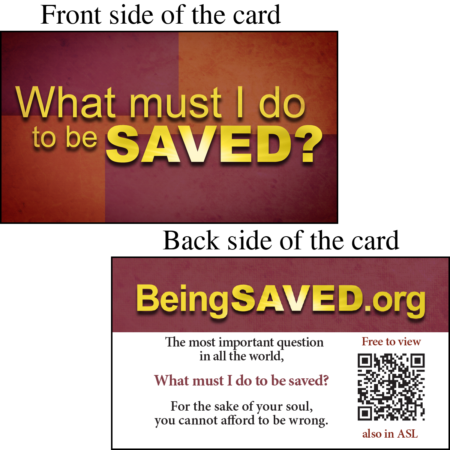 This new invitation card makes a wonderful loving way to guide someone to the gift of life. 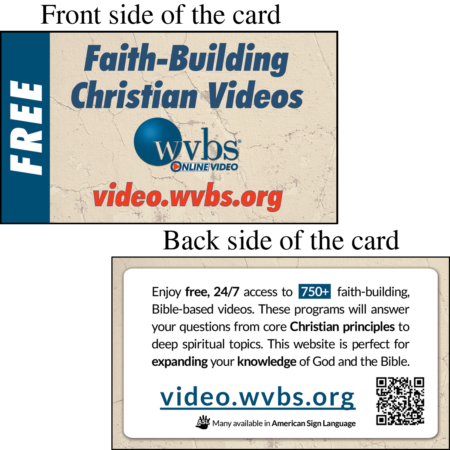 This card will show them to a website with over 1,000 Bible-based, faith-building videos that can help save their soul. 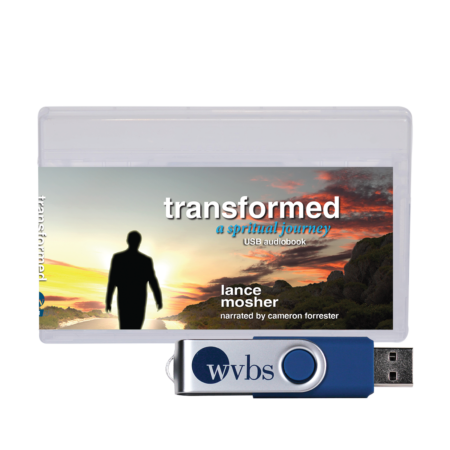 These programs will answer questions from core Christian principles to deep spiritual topics. 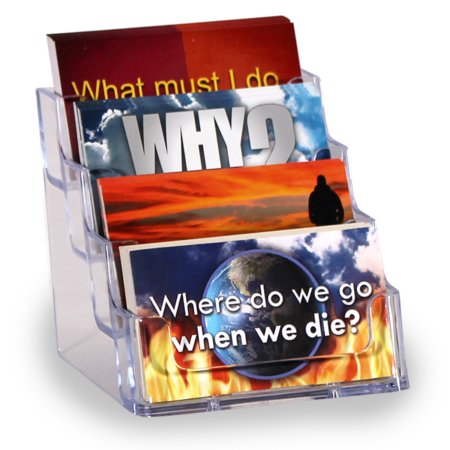 This card provides the perfect invitation to an expanding knowledge of God and the the Bible. The size of each card is 3.5″ x 2″ (size of a business card) and is packaged in a 500-count box. Revised 2017. 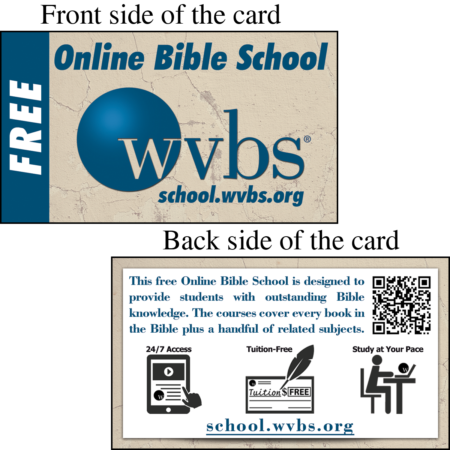 This invitation card is designed to be a convenient and inexpensive way for someone to share the information contained in “WVBS Online School” website. It can be given to family members, friends, co-workers or anyone who might be interested in viewing the materials. The size of each card is 3.5″ x 2″ (size of a business card) and is packaged in a 500-count box.